We at Team Sportsday are signing off for the day now. In two hours' time, we'll start building up to tonight's Premier League game on the BBC Sport website. From 19:00 BST follow live text and radio commentary from the Britannia Stadium as Stoke host Tottenham in the Premier League. Spurs can narrow Leicester's lead at the top to five points with a win. Stoke lost heavily at Anfield last week after drawing 2-2 with Swansea, but there is no way their manager Mark Hughes will just let things fizzle out after another really good season. I still fancy Tottenham to win here, though. I was really impressed with them against Manchester United, not simply the fact they won 3-0 but because United looked bright and sharp early on yet never looked like scoring. It was hard to see Spurs getting a grip on the game, so they were relying on their defence, but then it just happened for them at the other end. That is why they are such a good side - they have players who can turn games around in a second. Any other year, we would be saying they are the best team in the league, but Leicester look like beating them to the title. England and Manchester City captain Steph Houghton questions why the Women's FA Cup semi-finals were not at neutral venues. Lionel Messi scored his 500th career goal last night as Barcelona lost 2-1 to Valencia. 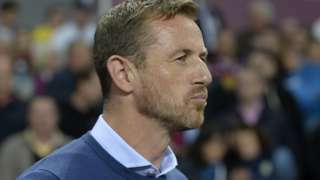 Birmingham City manager Gary Rowett says he is already looking forward to next season's derbies against Aston Villa. Leicester City striker Jamie Vardy has been charged by the Football Association with improper conduct for his behaviour following his second-half dismissal in yesterday's 2-2 draw with West Ham. The Foxes have also been charged for failing to control their players following a penalty award to the Hammers. Both the player and the club have until 18:00 GMT on Thursday to reply to their charge. Dave runs marathons. In fact, Dave runs a lot of marathons. Dave runs so many marathons that in 2008 he completed seven of them, in seven days and across seven continents. Oh...and Dave is blind. 'Blind Dave', as his friends call him, has raised over £3m for various charities and has been recognised by his childhood football club, West Brom, for his efforts. In case the video doesn't appear above this text, click here. If you want to get involved in disability sport, click here. If you're keen on running and want to find out more, then click here. David Bernstein and Lord King resign from the Aston Villa board two days after the club's relegation. 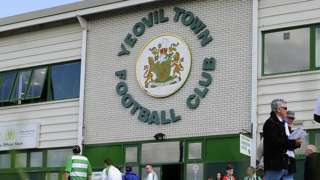 Yeovil Town reveal amended plans to re-develop land around Huish Park and are to submit final proposals to the council. The British jumping team for the Nations Cup show in Drammen, Norway (5-8 May 2016) has been named - James Billington, Kerry Brennan, Douglas Duffin, Joe Whitaker. Remarkable claims involving Aston Villa as two of their board members - who only joined the club within the last couple of months - have walked away, according to the Times. 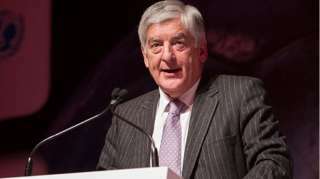 Former Aston Villa chairman Doug Ellis laments the club's relegation to the Championship, but feels they can bounce back to the top-flight at the first attempt. Video caption: Doug Ellis gives his reaction to Aston Villa's relegation.Doug Ellis gives his reaction to Aston Villa's relegation. The president of world amateur boxing (AIBA) says he is confident that a vote will be passed to allowing big-name professional to compete at the Rio Olympics. Dr Ching Kuo Wu had raised the possibility in March and until now only amateur or AIBA-affiliated professional boxers have been eligible to compete at Olympic Games. “I’m very confident. We’ve already received information that some big names would like to be at the Olympic Games,“ Dr Wu told BBC Sport. The retirement of an international cricketer could lead to heart tests for all young people, a leading professor has said. 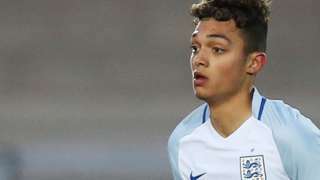 Ipswich boss Mick McCarthy teased Andre Dozzell about his heading before the 16-year-old nodded home on his debut. 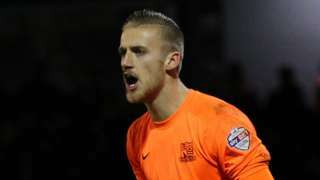 Southend goalkeeper Dan Bentley says he needs to "weigh up" his future with his contract expiring in the summer.